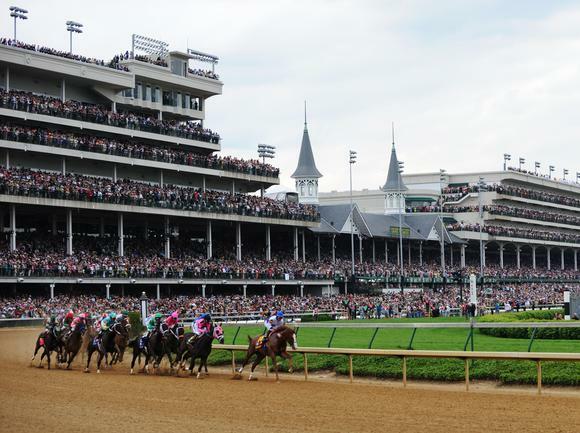 Although only Street Sense in 2006 parlayed victory in the Breeders’ Cup Juvenile into Roses, the winner of next Saturday’s $2 million race will be the early betting favorite for the 2015 Kentucky Derby. There were 17 pre-entries for the Juvenile, which will be run on Saturday, November 1 at Santa Anita, with the field limited to 14 starters. Hall of Fame trainer D. Wayne Lukas has won the Juvenile a record five times, but not since 1996 with Boston Harbor. Lukas will be represented by Mr. Z, who has run second in three graded stakes, the last being the Breeders’ Futurity (G1) at Keeneland on October 4. Fellow Hall of Famer Bob Baffert has won the Juvenile three times including last year with New Year’s Day and could end up saddling the betting favorite. American Pharoah is already taking action in future betting for the 2015 Kentucky Derby after his impressive victories in the Del Mar Futurity (G1) and Front Runner (G1). The colt won those two races by a combined eight lengths. Baffert will also saddle One Lucky Dame, a good-looking maiden winner over the Santa Anita main track in his third career start. The son of Lookin At Lucky drew off to win by 9 ½ lengths in fast time in his first start on conventional dirt. His first two trips were on polytrack at Del Mar. Trainer Todd Pletcher always has a barn full of talented juveniles and this year is no exception. Pletcher won the 2012 running of the Juvenile with Shanghai Bobby and won his first Kentucky Derby with Super Saver in 2010. Pletcher has a pair of juveniles that are already Grade 1 winners that are going to be tough in the Juvenile and will take action in Kentucky Derby betting. Carpe Diem is perfect in two starts, breaking his maiden in his debut and then taking the Breeders’ Futurity by 6 ¼ lengths. Daredevil was an impressive debut winner and then came back to win the Champagne at Belmont Park on October 4. The New York bred Upstart may be worth a look. The Rick Violette trainee won the Funny Cide Stakes and made a mild late rally to finish in the runner-up spot in the Champagne, which was contested over a sloppy track. He finished 2 ½ lengths behind Daredevil.